If my plans for the summer had worked out, by now I would be approaching the half way point on the Colorado Trail in the Rocky Mountains. 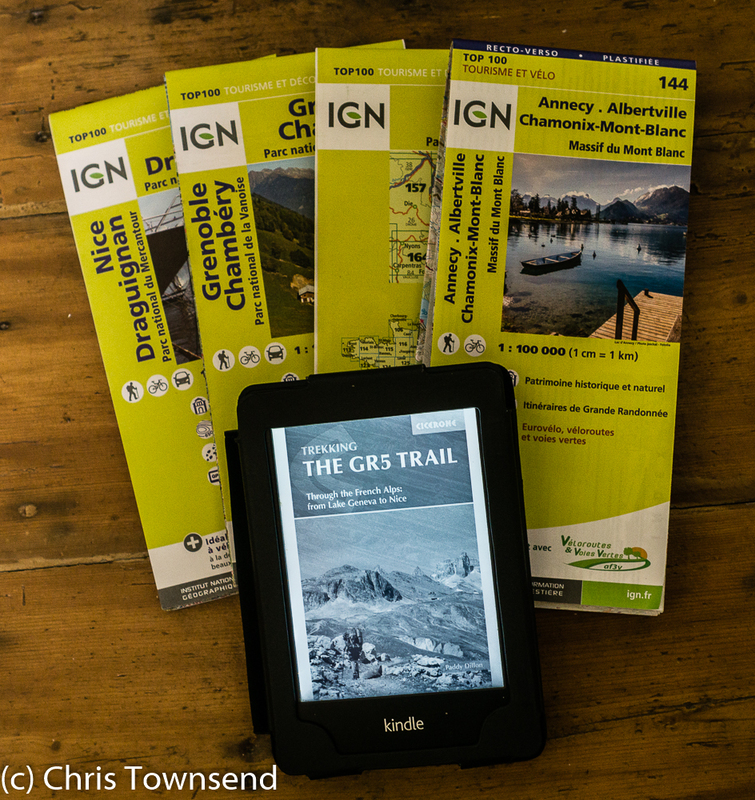 As it is I'm planning on setting out on the GR5 trail through the French Alps next week. Events and circumstances have conspired to make me change my plans. Firstly the dreadful fires in Colorado earlier in the summer, which closed sections of the Colorado Trail, meant I didn't book flights as early as I'd intended as I didn't know if the trail would open again this year (it has). This turned out to be fortuitous for me as some minor ailments meant a round of health appointments, blood tests and X-rays. By the time I had clearance for a long walk it was getting a bit late for the Colorado Trail. A shorter one seemed a good idea. I also thought it wise to go somewhere easier to retreat from, not so expensive to reach, and where I wouldn't be disappointed if I didn't complete the route. Europe rather than North America. I'd always thought that one day I'd do a long walk in the Alps and this looked like the right opportunity. A two week autumn walk many years ago on the Tour du Queyras is the sum of my Alpine walking experience. A quick bit of research (the web makes this so easy!) and I decided on the GR5. I haven't done much planning yet but it looks the sort of route where this isn't needed. I'll find out! 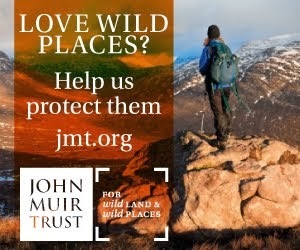 I am planning on camping the whole way (I gather I may have to use a hut for one night in the Vanoise National Park) and treating the walk as I would one in a remoter area. Connections permitting I'll be posting updates here and on social media and longer pieces once I'm back in early October. Fourth in the Classic Gear series that appeared in The Great Outdoors last year. This time, a mattress that revolutionised sleeping comfort. 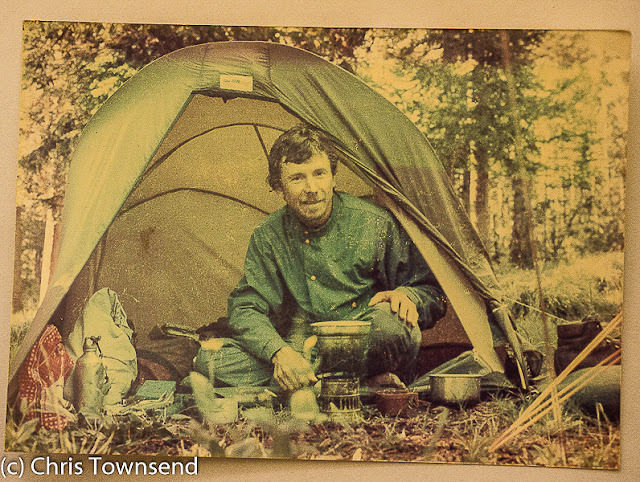 Back in the 1970s, when I began backpacking, sleeping mats were all closed cell foam. These were bulky and not very comfortable but also nearly indestructible and good insulators. 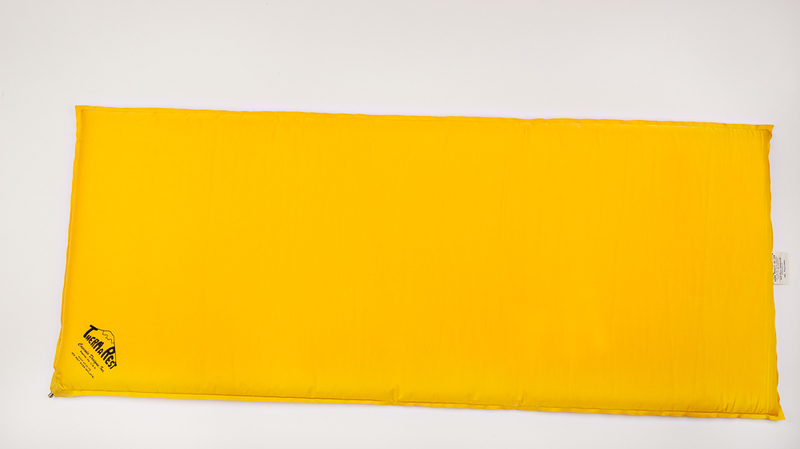 Bright yellow ones – the ubiquitous Karrimat – could be seen strapped on every backpackers pack. However the same decade saw change coming from far away Seattle in the Pacific Northwest, where, in 1971, climber John Burroughs suggested to two mountaineering friends that he’d like a better mat. At the time engineers Jim Lea and Neil Anderson had just been made redundant so they were able and keen to take up this idea. The breakthrough that would lead to the first ever self-inflating mat came when Jim Lea was gardening and noticed that the foam cushion he was kneeling on let air out when he shifted his weight. Seal that foam in an airtight fabric and you’d have a comfortable mat he realised. 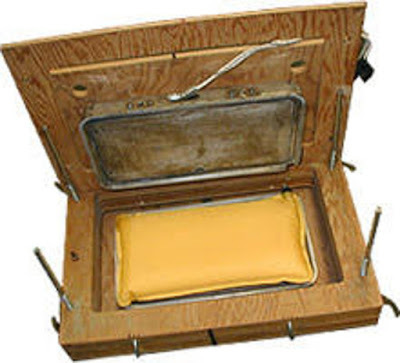 To make a prototype he and Anderson used a sandwich maker to melt the fabric onto the foam. They then added a valve so the air could be sealed in and squeezed out and their first mini mat was complete. Further work improved and refined the design, which was patented in 1972. Two years later production began under the name of their new company, Cascade Designs, founded by Burroughs, Lea and Anderson. As with many innovative products in those pre-Internet days knowledge of the Therm-A-Rest mat was slow to spread and it didn’t arrive in the UK until the end of the 1970s. In the 1980s it became popular worldwide however. A manufacturing plant was opened in Ireland in 1984. 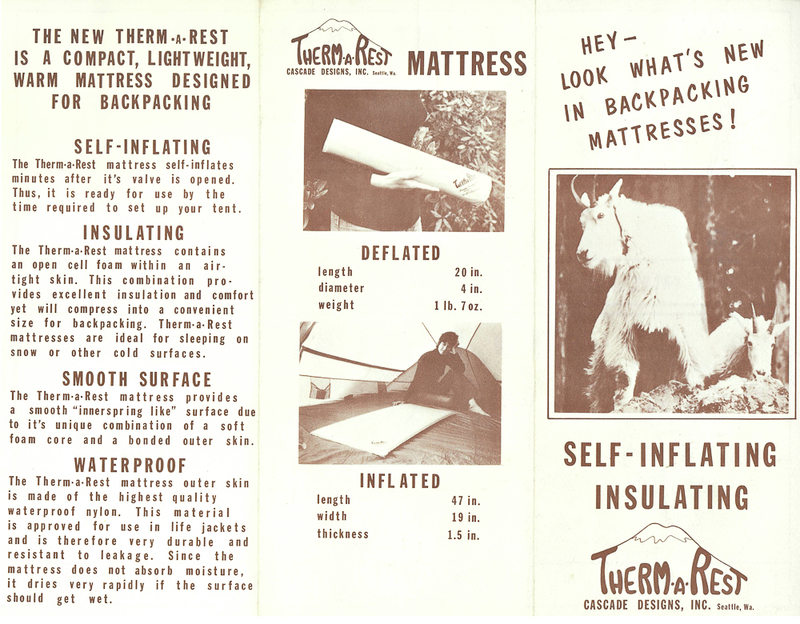 In the beginning there was just one model, simply called the Therm-A-Rest. It was 47 inches (119cms) long and weighed 1lb 7oz (652 grams). This was considerably heavier than a closed cell foam mat. 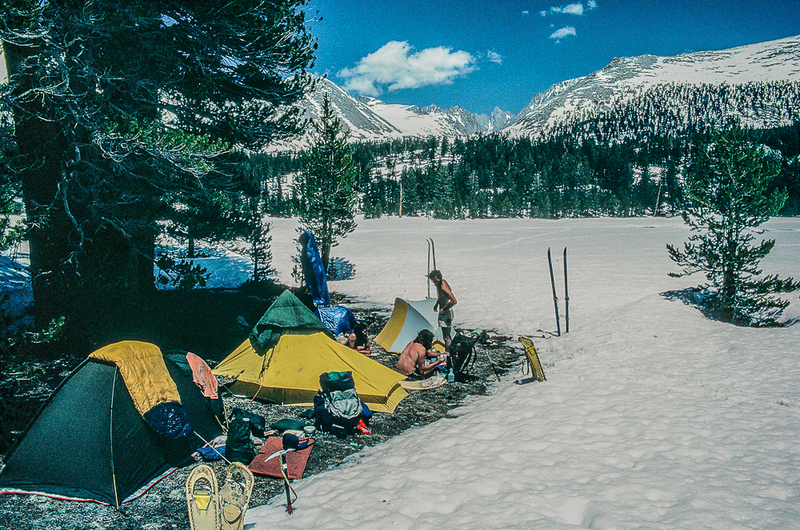 However the difference in comfort was so great that I took one on my Pacific Crest Trail walk in 1982 and found it excellent. It lasted the whole trip, was very comfortable and kept me warm sleeping on snow in sub-zero temperatures at altitudes above 10,000 feet (3050 metres). I also liked the fact that when compressed it was compact and could be stored inside my pack rather than strapped on the outside. I used one again on the Continental Divide Trail in 1985. That first mat had a solid foam core, a plain nylon shell, a metal valve and a rectangular shape. Today the name Therm-A-Rest covers a whole family of mats in different weights and lengths that have cored foam, curved sides, different fabrics top and bottom, plastic valves, and different models for women and men. The closest to the original mat is probably the Prolite Plus. The 72 inch (183cms) Regular size weighs 592 grams. Today there are many companies making self-inflating mats and it’s difficult to realise just how revolutionary the first Therm-A-Rest was. All the current mats derive from that 1972 model though and from the ideas of a climber kneeling on a gardening cushion. 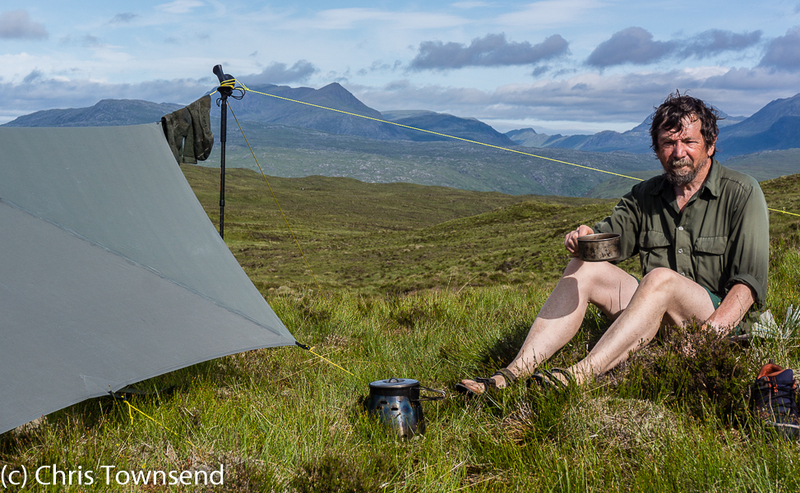 Without Therm-A-Rest wild camping would be far less comfortable. 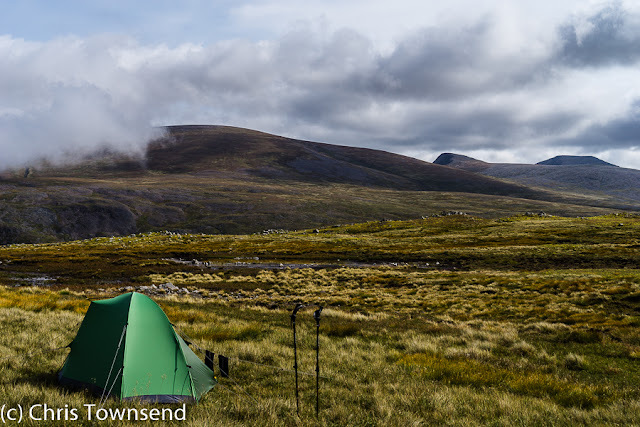 Back in the spring I posted pieces about the packs and shelters I’ve used on long-distance walks. I’ve been meaning to follow these with ones on stoves, sleeping bags, footwear and more but it’s taken a while to find the time. Here’s the first of those: stoves. 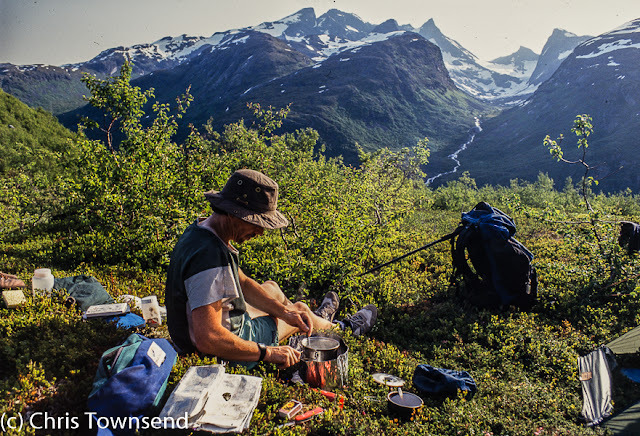 Unlike with other items choosing a stove for a long-distance walk is partly dependent on an external factor – what fuel can you buy along the way. 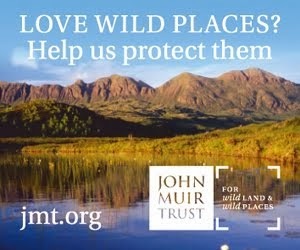 This has changed over the years but is still an important consideration. 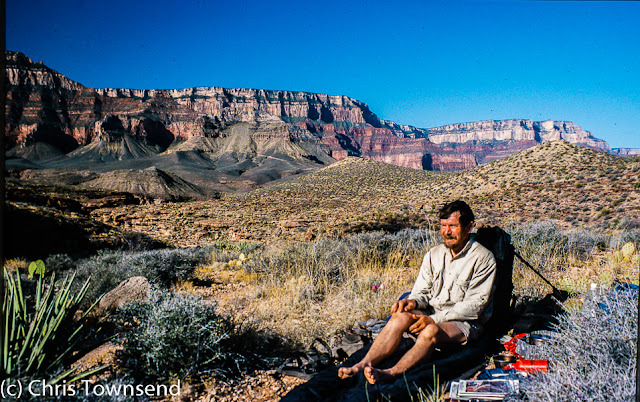 When I began backpacking in the 1970s the fuel choices were almost the same as today – cartridges, meths/alcohol, paraffin, and petrol/white gas. The big difference was that cartridges were butane only, which was less efficient, especially in the cold, than today’s butane/propane mixes. Cartridge stoves have another disadvantage, which remains today. Most can’t be easily repaired in the field. Combined with fuel availability that’s the reason I’ve only used cartridge stoves on one long-distance walk. As it is my stove choice has gone full circle from meths/alcohol ones through various petrol/paraffin pressure stoves with one diversion into cartridges and back to meths/alcohol. 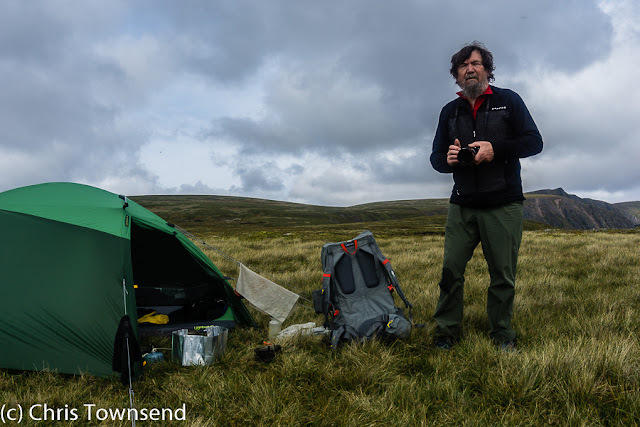 On my first long distance walks, the Pennine Way in 1976 and Land’s End to John O’Groats in 1978 I used a Trangia methylated spirits stove. I couldn’t find out if cartridges were available along the way (this was long before the Internet of course) and anyway didn’t like the cartridge stoves I’d tried. Petrol or paraffin pressure stoves were an option, but I’d never used one of these and was a little nervous of them. As it was, while heavy and bulky, the Trangia worked fine in all conditions. I still have it. For the Pacific Crest Trail and Continental Divide walks in 1982 and 1985 I used a Svea 123 white gas stove, as this was the model recommended by Colin Fletcher in his superb The Complete Walker, which I read to learn about backpacking in the Western USA. Alcohol stoves hadn’t yet caught on in the USA – that was to come two decades later – and general advice was that white gas in various forms – gasoline, Coleman Fuel, generic white gas – was the only fuel I’d find everywhere. The Svea, an upright brass tin can in appearance, worked well, once I’d got used to priming it with liquid fuel and realised I needed a separate windshield for strong winds, though using it with leaded petrol, which I did a few times, was always a little unnerving as it flared badly. 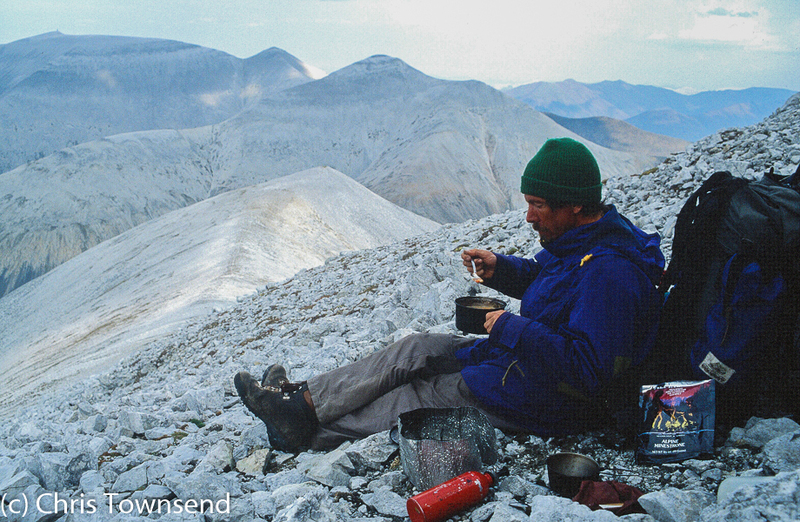 I stayed with white gas but changed stoves for my 1988 Canadian Rockies and Yukon walks. MSR had brought out the Whisperlite Internationale, which was lighter than the Svea and came with an encircling windshield and a separate fuel tank attached by a long hose. Again it worked really well. 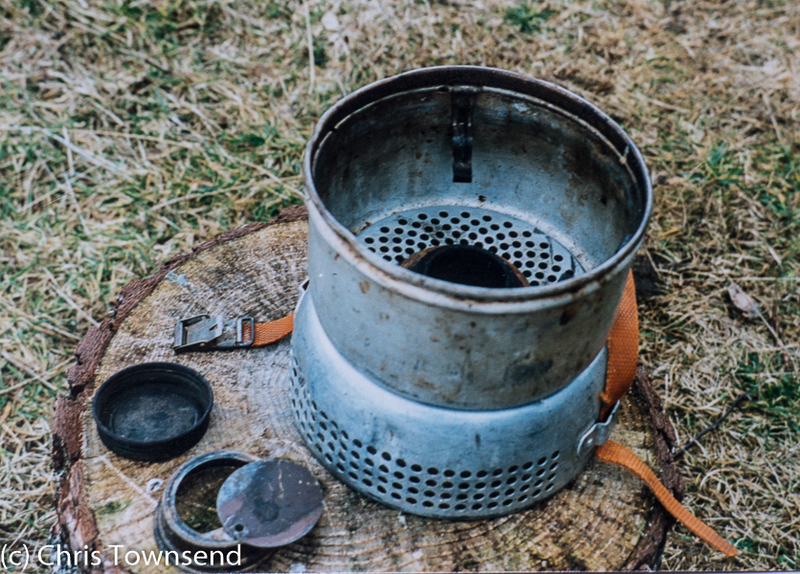 For my Scandinavian Mountains Walk in 1992 I changed to a different MSR stove, the X-GK II, because the only fuel available everywhere was paraffin in various forms and the X-GK ran well on this relatively dirty fuel and was easy to clean. Mostly I used lamp oil, a clean type of paraffin, but I did use some paraffin that smoked badly and clogged up the stove so being able to strip it down and clean it quickly was a boon. 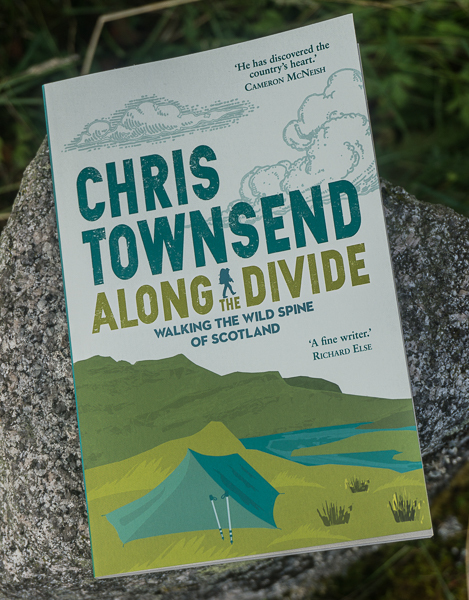 All these stoves were quite heavy and I wanted something lighter for my next walk, the Munros and Tops, as this would involve a great deal of ascent. This was the first walk when I really tried to keep the overall weight down. I reckoned a cartridge stove would be okay in Scotland as it would be easy to replace if it failed and I’d manage for a few days on cold food if I had to. Cartridge stoves were a bit heavier than today back then but still very light compared to the stoves I had been using. I took one of the lightest then available, the Coleman Micro, a simple screw-in burner. The first one of these did fail. The second was fine. 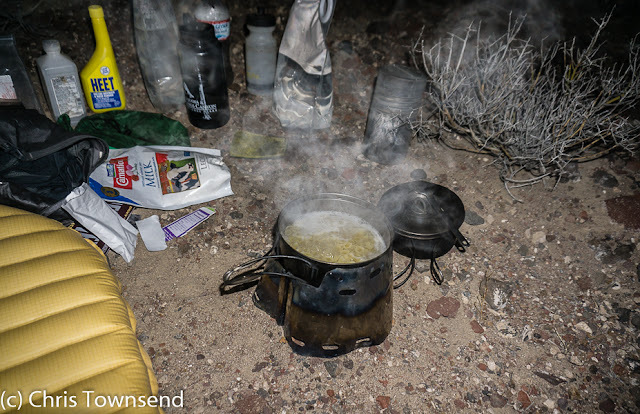 I really liked the light weight and ease of use of a cartridge stove but the failure had confirmed my views that relying on one on a remote walk wasn’t a good idea so for the Arizona Trail in 2000 I went back to a pressure stove, the Optimus Nova. This was a bit easier to use than the MSR models, so I used it again on my 500-mile circular walk through the High Sierra two years later. During the 2000s the ultralight backpacking movement took off in the USA and with it came a wealth of alcohol stoves made from drinks cans. People also realised that various forms of alcohol suitable for stove use could be found in hardware stores and gas stations and that this availability made it an excellent fuel for long-distance walks. 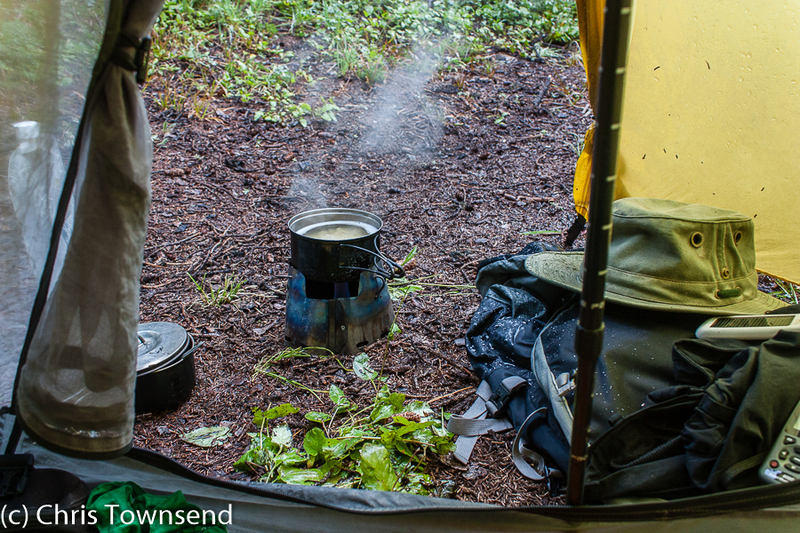 I tried a few of these little stoves and really liked the Trail Designs Caldera Ti-Tri, which was like an ultralight version of the Trangia but could also be run on solid fuel tablets or natural fuel. 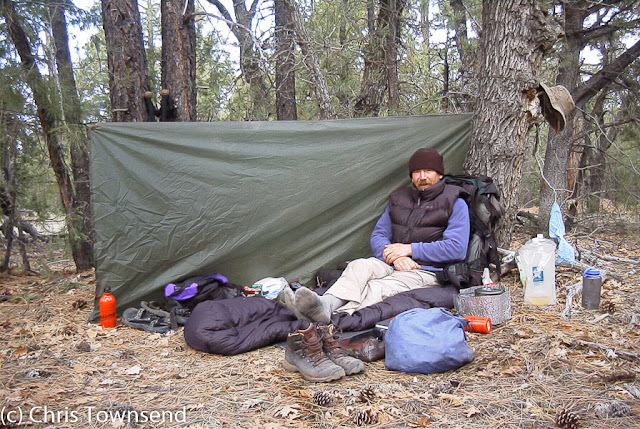 In 2010 I took the Ti-Tri on the Pacific Northwest Trail and was so delighted with it that I used it on my next two long-distance walks, the Scottish Watershed and Yosemite Valley to Death Valley. I’ll almost certainly use it on the next one too, though with the new Kojin burner rather than the 12-10 one as the Kojin is more durable and can retain unused fuel. I think I’ve finally found the ideal stove for long-distance walks. The bright half moon looked promising. An evening start meant I knew it would be night before I reached the Moine Mhor high above Glen Feshie. With that moon the walking should be easy. It wasn’t to be. As darkness fell so did the clouds and once on the plateau I was walking in dense mist. There was no wind, no sound, just damp clinging mist enshrouding me. I reached the Allt Sgairnich, that long river that runs from high on Carn Ban Mor at the north-west corner of the Moine Mhor, almost splitting it in two before tumbling down the southern slopes into upper Glen Feshie. 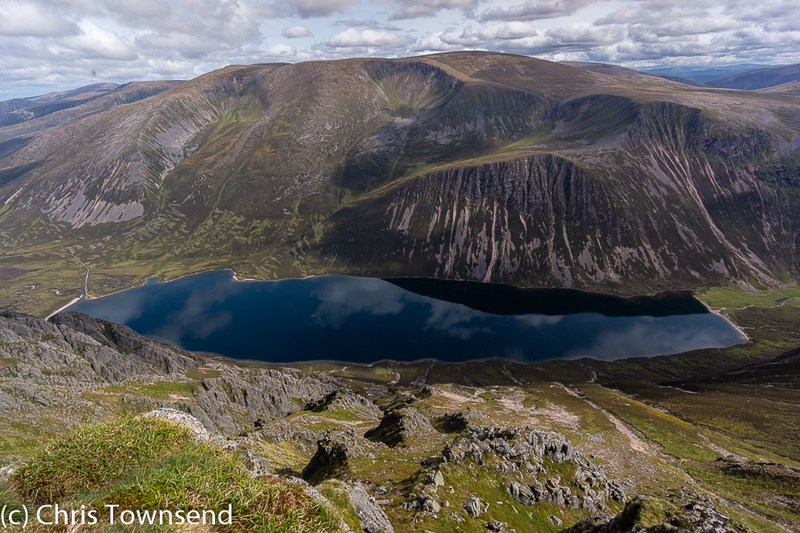 It’s one of my favourite Cairngorm rivers. Here, not far from its source, it’s a narrow stream. Surrounded by peat bogs it was still running strongly despite this dry summer. I followed the river upwards a little way, picking a route through the bogs. They were drier than usual but I still got my feet wet. It doesn’t take much moisture to penetrate mesh trail shoes. I didn’t mind. It wasn’t cold. Casting round for a camp site I found one on a low dry knoll. I knew where I was, but I still wondered what I’d see in the morning. In this black night I could have been anywhere. I woke at 5.45 a.m. Pale light crept under the door. I looked out. Dense mist. Back to sleep. 7.45 and still the mist. More sleep. 9.45 and heat woke me. Stifling in the sleeping bag I was up quickly. The higher summits were still in cloud but it was breaking and a thin sun shone through the last remnants. The air outside the tent was cool. 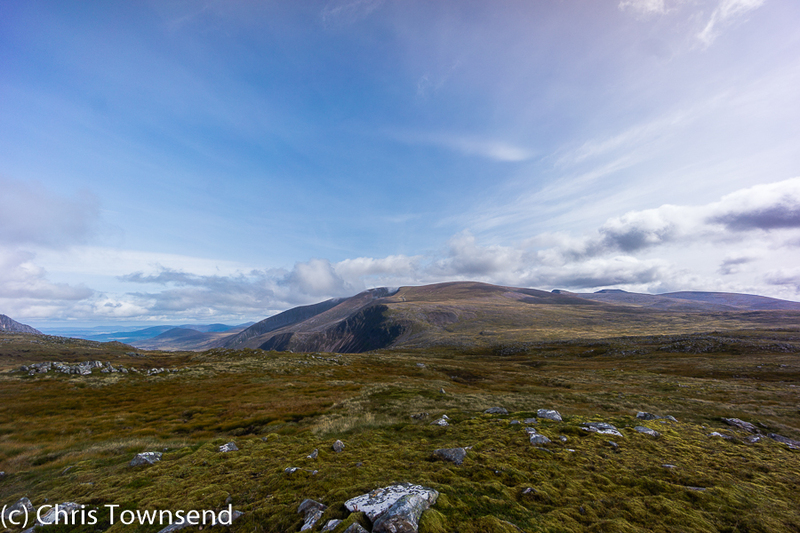 I was in the heart of the Moine Mhor which stretched out to distant hills in every direction, old friends all – Braeriach, Sgor an Lochain Uaine, Cairn Toul, Monadh Mor, and today’s objective, Sgor Gaoith. It was noon before I broke camp, the time spent watching the hills and the clouds, marvelling at the subtle colours of the summer moor, the tips of grasses turning red, the white nodding heads of cotton grass, yellow tormentil, tiny violet touched white eyebright, cloudberry leaves turning a red-purple, spots of heather, green and red mosses. It’s a complex world up here. Two grouse skimmed the ground noisily. Quite high up for them. Amongst some rocks their mountain cousin, the ptarmigan, scuttled. Two ravens flapped lazily past, calling loudly. A dipper flashed up the burn, rapidly beating wings skimming the water. Pack on back I departed for the rim of the moor, where its northern edge plunges down broken slopes to Gleann Einich and shining blue Loch Einich. An old path follows the rim here, wending its way along the edge of the steepness towards Sgor Gaoith. A fine airy path, on the brink of two worlds. Tiny figures headed up Sgor Gaoith, the first people I’d seen. Soon they grew in size, one of them posing atop a rock block with a mountain bike. 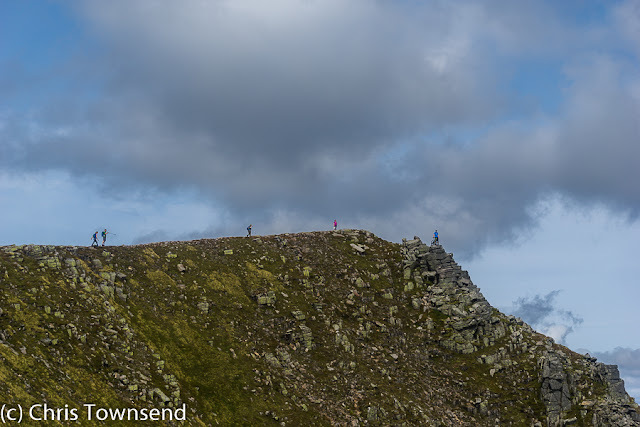 From my lower path they seemed to be walking a narrow arete, rather than the broad hillside they were actually on. The classic view from Sgor Gaoith down some 600 metres to Loch Einich with the bulky ramparts of Braeriach beyond it was looking good, the drifting clouds and their shadows giving depth to the landscape. Turning away I took the path over Carn Ban Mor and back down to Glen Feshie. As I set off a reindeer trotted past, far from its home in Glenmore. 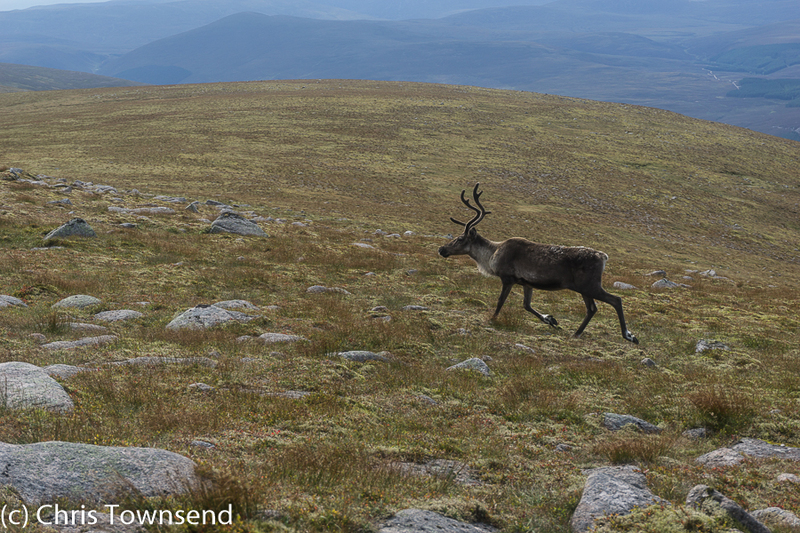 I passed it again on Carn Ban Mor where it was sitting in the grass, nonchalantly chewing.